The Arboretum’s collaboration with artist Ginny Ruffner and the Museum of Glass—the Garden of Artful Delights—won a Silver Award and the South Sound Magazine Editor’s Choice Award last night at the Northwest Flower & Garden Show. Congratulations to our design team (Bob Lilly, Phil Wood, and Rhonda Bush) and to everyone who worked so hard to make the garden a reality. 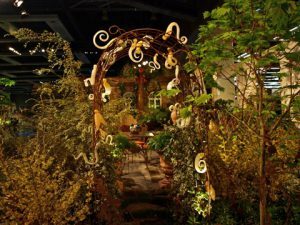 The show runs now through February 9 at the Washington State Convention Center. PHOTOS: See more photos of the display garden on our Facebook page.